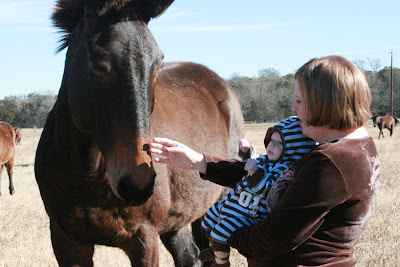 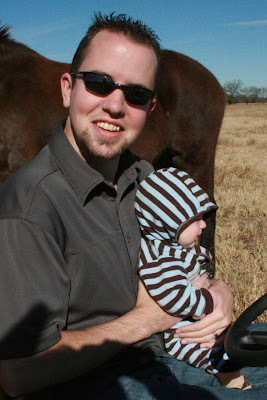 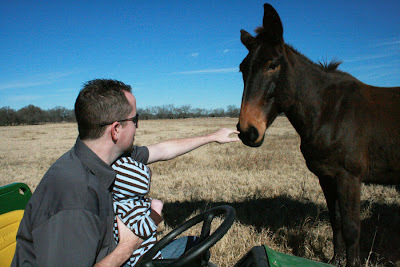 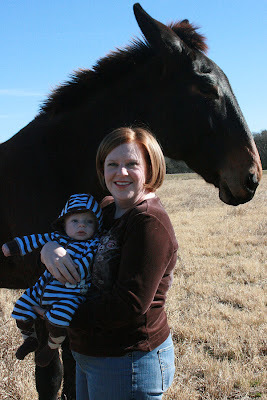 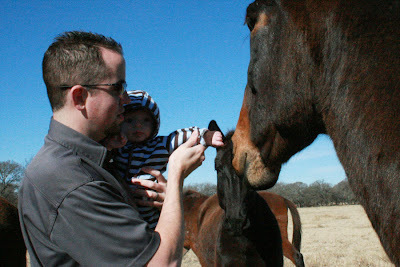 While we were at the farm we took Milo out to see the mules that my grandfather breeds. 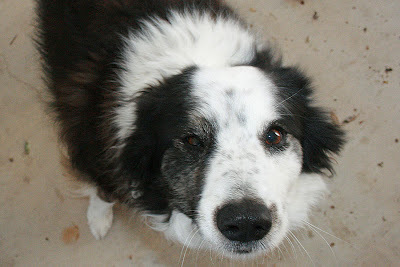 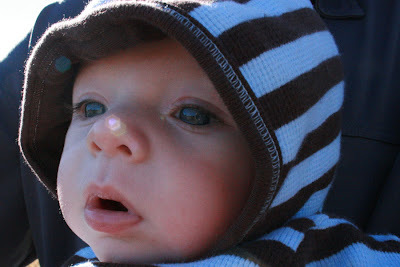 I don't think he was quite sure what to make of it all. 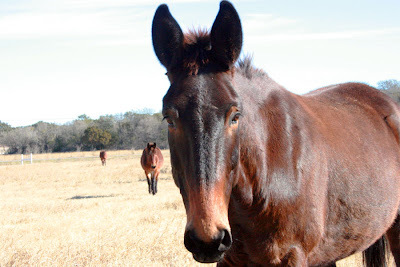 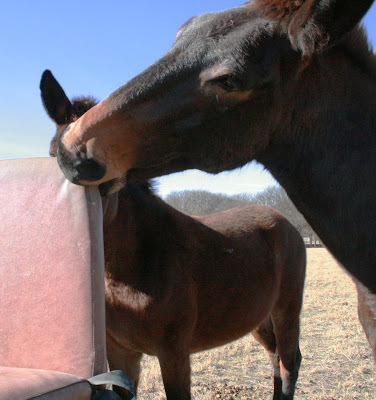 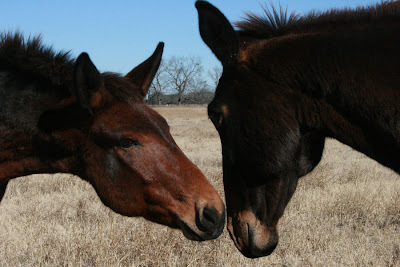 I also discovered that mules are very uncooperative when it come to being photographed. 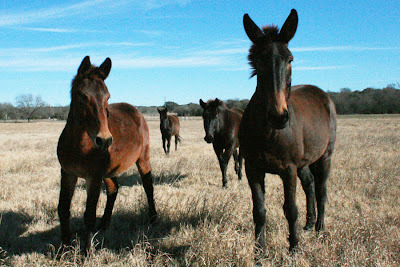 The darn beasts just wouldn't stay still!